What do wine, livestock and history have in common? Each play a significant role in the fall activities coming up this weekend, the last in September, as the fall season kicks into high gear in Hendricks County. You can start your weekend Friday night as the Happy Trails Fall Fest begins. The fine folks at Natural Valley Ranch in Brownsburg will kick this two-day, B&O Trail fund-raiser up a notch this year with festivities beginning at 8 p.m. They plan to have a bonfire, limited camping, a country, bluegrass and blues band, dancing, a tractor-pulled hayride at 10 p.m. and a midnight horseback trail ride. Saturday will begin bright and early with a campfire breakfast prior to all the family activities. 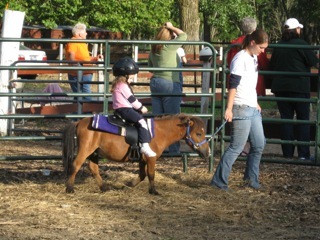 Events will include equestrian clinics throughout the day, a petting zoo, pony rides, fishing at the lake, campfire lunch and so much more. Reservations are required for overnight camping. Fees vary based on the event. To reserve a spot or get more information, click here. If you would rather enjoy a little history with your family fun, I recommend the Avon Community Heritage Festival on Saturday. This free, day-long event celebrates the past, present and future of the community beginning at 10 a.m. at Washington Township Park in Avon. This event usually has a little bit of everything including a parade, kids’ activities, vendors, food, entertainment and more before closing in style with a fireworks show that night. Chateau Thomas Winery also provides another option on Saturday with its Grape Harvest Festival. For all the specific details, check out Aimee’s event preview that was posted last week right here on All Access Hendricks County. Last, but certainly not least, I want to tell you about a unique, family activity opportunity that doesn’t come around often in Hendricks County. From 10 a.m. to 4 p.m. on Saturday, Montrose Farms Alpaca Ranch in Brownsburg will host National Alpaca Farm Day. 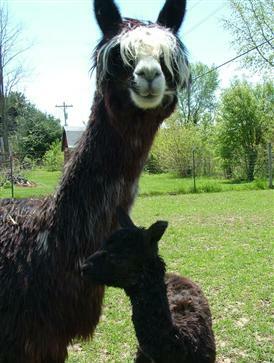 This fund-raising event to raise money for the Toys for Turtle Mountain project will includes learning about suri alpacas, which resemble small llamas, on Brownsburg’s oldest farm and some shopping. Nomad Yarns professionals will be on site providing spinning and felting demonstrations, and 100 percent Alpaca blankets, scarfs, hats, gloves, socks and even teddy bears will be on sale. Families can even take home some raw alpaca fleece or purchase authentic items from Guatemala and Peru. Have a fantastic weekend.